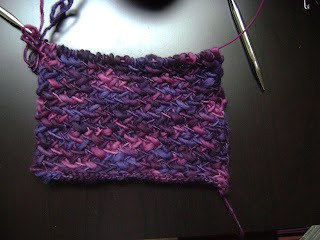 I'm using Manos Del Uruguay to make "My So Called Scarf". I'm totally in love with this colorway. 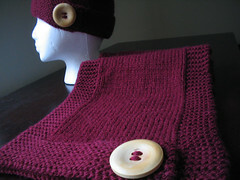 When I saw a sample of the scarf in one of my LYSs, Great Yarns, I KNEW I had to make it. I like how it's turning out. However, I'd like it more if the thickness of the yarn was uniform. 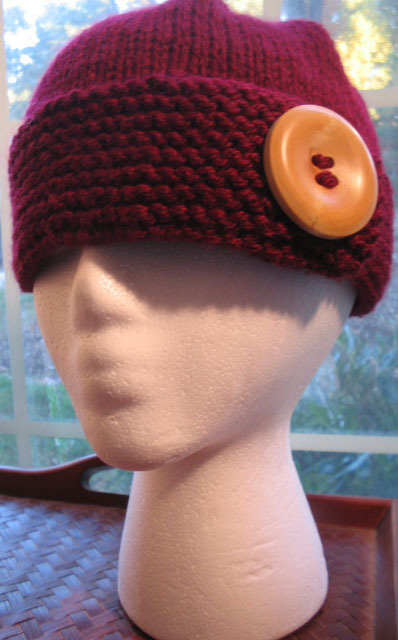 I think I'd like it even better if it was knit with Malabrigo. Maybe I'll make one with Malabrigo after this one. Oh, and you're all invited to the wedding between me and my Options Needles. We're in love. We're honeymooning in Spain. Gracias.